A lecture with Lisa Brooks, author of “Our Beloved Kin” : A New History of King Phillips War. In Our Beloved Kin, Lisa Brooks recovers a complex picture of war, captivity, and Native resistance during the “First Indian War” (later named King Philip’s War) by relaying the stories of Weetamoo, a female Wampanoag leader, and James Printer, a Nipmuc scholar, whose stories converge in the captivity of Mary Rowlandson. 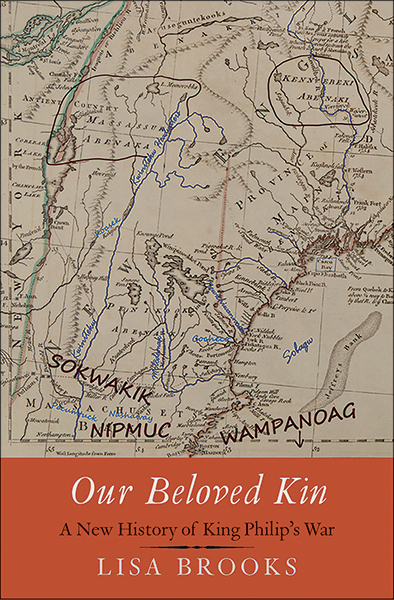 Through both a narrow focus on Weetamoo, Printer, and their network of relations, and a far broader scope that includes vast Indigenous geographies, Brooks leads us to a new understanding of the history of colonial New England and of American origins. Brooks’s pathbreaking scholarship is grounded not just in extensive archival research but also in the land and communities of Native New England, reading the actions of actors during the seventeenth century alongside an analysis of the landscape and interpretations informed by tribal history. Both authors write from the authority of their own Native American lens, as both share Wabanaki roots and understand what West Coast poet Gary Snyder calls “The Old Ways” — a belief system under which all animate and inanimate objects are beings with palpable spirits. That includes lakes and ponds and streams, mountains and swamps and high, lonesome glacial-erratic boulders, beavers and bears and deer, insects and worms and underworld serpents with ominous rattling tails. 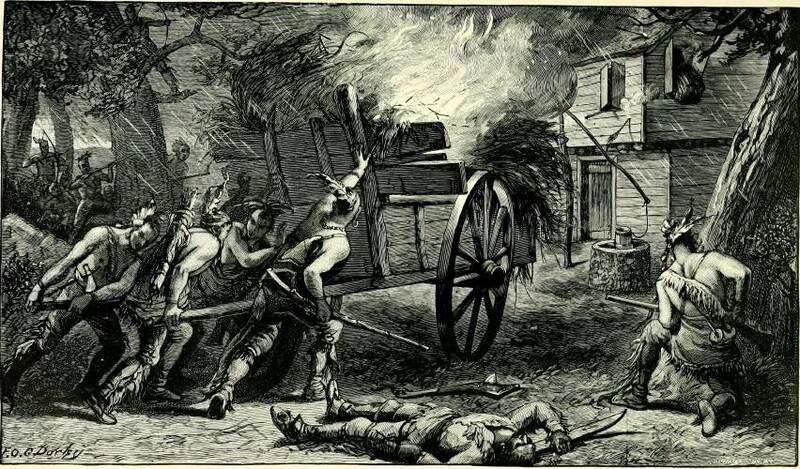 Viewing the world through such a holistic lens, buttressed by deep oral history recited in song, dance and ritual performance around warm winter fires, puts a different spin on life, one that conflicts in a major way with the Christian way Europeans transported with them to the New World. It is this world-view that backbones Brooks’ and Delucia’s refreshing narrative and challenges conventional, accepted conclusions about KPW. Both of these fresh, New-Age female scholars refuse to buy the tired documentary evidence supplied by the likes of old-standby colonial clergymen William Hubbard and Increase Mather, entrepreneur John Pynchon, or Narragansett-country colonial land-grab military officer Benjamin Church. The recorded histories from these primary sources are, in Brooks’ and Delucia’s opinion, those of conquerors publishing second-hand accounts that are, at the very least, biased if not totally invalid. Of course, these two young scholars are not the first veritable historians to challenge the long-accepted, often-repeated norms of KPW history. They’re just taking similar positions to previous chroniclers like Francis Jennings, Howard Zinn, Jill Lapore and others pejoratively called “revisionary historians” by more conventional colleagues and critics. Read the review by Gary Sanderson in The Greenfield Recorder. Coming out on January 9, 2018 from Yale University Press – this looks amazing… A compelling and original recovery of Native American resistance and adaptation to colonial America. With rigorous original scholarship and creative narration, Lisa Brooks recovers a complex picture of war, captivity, and Native resistance during the “First Indian War” (later named King Philip’s War) by relaying the stories of Weetamoo, a female Wampanoag leader, and James Printer, a Nipmuc scholar, whose stories converge in the captivity of Mary Rowlandson. 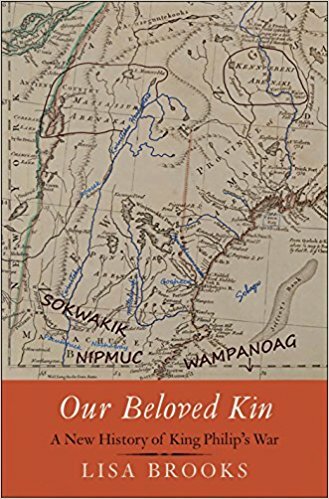 Through both a narrow focus on Weetamoo, Printer, and their network of relations, and a far broader scope that includes vast Indigenous geographies, Brooks leads us to a new understanding of the history of colonial New England and of American origins. Brooks’s pathbreaking scholarship is grounded not just in extensive archival research but also in the land and communities of Native New England, reading the actions of actors during the seventeenth century alongside an analysis of the landscape and interpretations informed by tribal history. 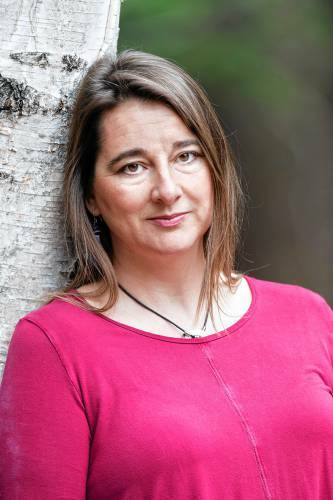 Listen to a NEXT interview by John Dankosky on WNPR with author Professor Lisa Brooks about her compelling new work “Our Beloved Kin” (scroll halfway down). Lisa Brooks is associate professor of English and American studies at Amherst College. She is author of The Common Pot: The Recovery of Native Space in the Northeast. Sponsored by the Nolumbeka Project: 7 pm on Friday, May 19, 2017 at Greenfield High School, 21 Barr Avenue, Greenfield, MA. 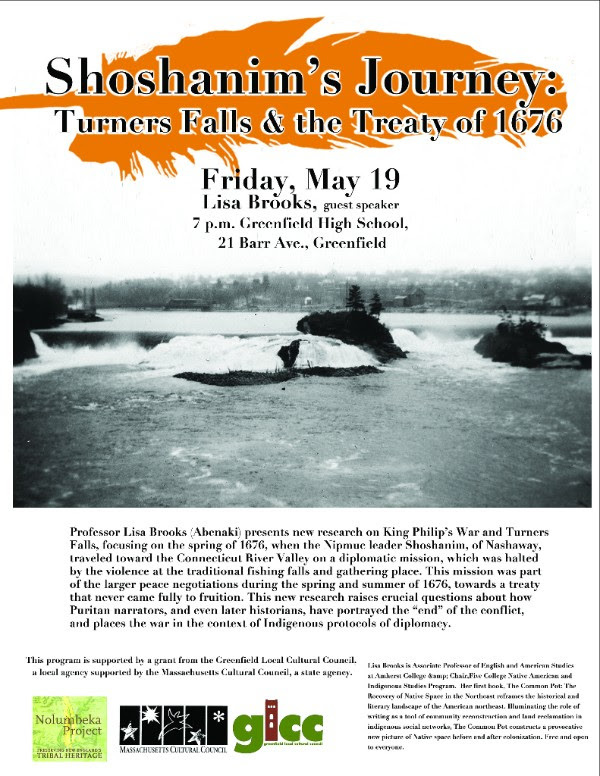 Professor Lisa Brooks presents new research on King Philip’s War and Turners Falls, focusing on the spring of 1676, when the Nipmuc leader Shoshanim, of Nashaway, traveled toward the Connecticut River Valley on a diplomatic mission, which was halted by the violence at the traditional fishing falls and gathering place. This mission was part of the larger peace negotiations during the spring and summer of 1676, towards a treaty that never came fully to fruition. This new research raises crucial questions about how Puritan narrators, and even later historians, have portrayed the “end” of the conflict, and places the war in the context of Indigenous protocols of diplomacy. The Healing Fire Initiative for Survivors of Sexual Violence, their friends, families and allies. Sponsored in part by Gedakina.org. People who come to the healing fire are welcome to make offerings to the fire. Wooden shims and sharpies will be provided and you are welcome to bring letters and pictures of your own. Amherst College is honored to partner with Gedakina Inc. in an effort to provide a space for healing with our campus community. In 2002 Gedakina cofounded the Healing Fire Initiative for Survivors of Sexual Violence. The purpose of the Healing Fire Initiative is to offer survivors of sexual violence a welcoming and comforting place to break the isolation they may feel, build community with other survivors, advocates, and supporters, and begin or continue their healing process. This program is now a regional initiative with organizations and colleges/universities across the United States adopting this award-winning program. 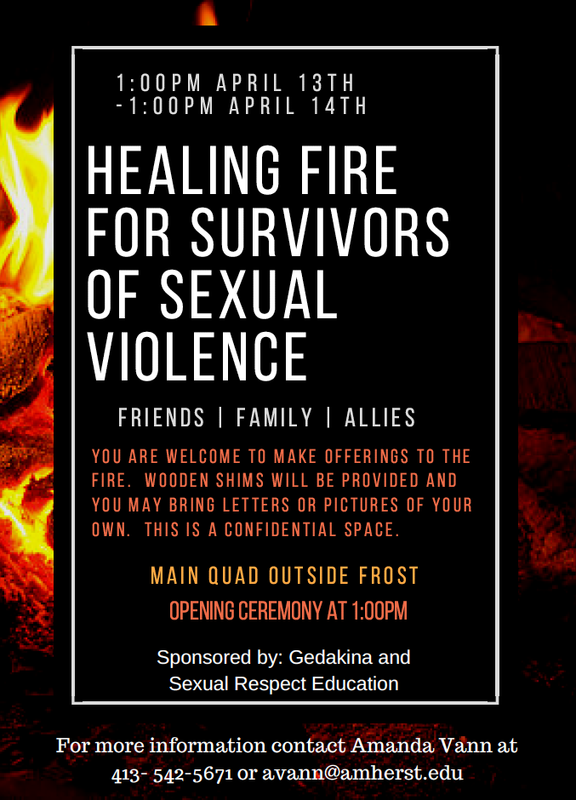 The Healing Fire will begin with an opening ceremony at 1:00 pm onThursday April 13th, on the Freshman Quad (directly across from the Frost Library entrance. The fire will be burning until 1:00pm on April 14th and will staffed by faculty, staff and crisis support center staff throughout the 24 hour period. Please feel free to stay for any amount of time that feels right for you. In respect for attendees we ask that no photography or social media include faces of people unless you have explicit permission.